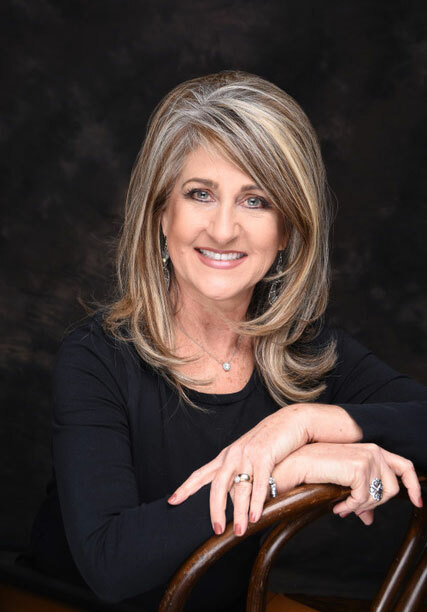 Linda Lacour Hobar, author of The Mystery of History, is a self-proclaimed “people-person”, a fan of comfortable high-heels, and a passionate follower of Jesus Christ. Through homeschooling her children, and service as a missionary, she discovered a genuine love for world history where famous and not-so-famous people have shaped time itself by the mighty hand of God. In the year 2000, Linda sensed a clear call to write The Mystery of History series for her children, grandchildren, and generations to come. A native-born Texan, Linda holds a Bachelor of Arts degree from Baylor University, where she first fell in love with world history. She presently resides in Tennessee where she continues to research, write, and obsess over matters big and small. Her husband Ron concurrently ministers to youth through “Intersect Sports” utilizing competition, instruction, and Christian discipleship to build the “total athlete.” Be it through sports or world history, Ron and Linda strive, imperfectly, to pour Biblical truths into families that are seeking to live for the Kingdom. Use the dropdown box below to view Ron and Linda Hobar’s doctrinal “Statement of Faith”. We believe that Christian Baptism is the immersion in water of a believer, into the name of the Father, and of the Son, and of the Holy Spirit; to show forth in a solemn and beautiful emblem, our faith in the crucified, buried, and risen Savior, with its effect, in our death to sin and resurrection to a new life. We believe that the Lord’s Supper is a sacred Christian rite in which the members of the church by the sacred use of bread and wine, are to commemorate together the undying love of Christ; preceded always by solemn self-examination. We believe that the first day of the week is the Lord’s Day, and should be kept as a priority for believers to assemble in worship. Recognizing the importance of the gathered assembly in the life of the professing Christian, we consider it a privilege to come together regularly in worship, not neglecting to meet together for mutual edification in Christ. RISE Education, Elissa invited Linda Hobar to share with families what The Mystery of History entails. Homeschool Help! – From Linda’s personal experience of homeschooling three real and rambunctious children for 17 years, these candid workshops are designed to provide practical and amusing tips on the art of home education. A crowd favorite is “Mary and Martha Decide to Homeschool – a Workshop for Mary’s Only!” which is designed to encourage the feelings-driven homeschool mom who struggles to accomplish daily tasks. Vendor Workshop – Linda has one workshop specifically designed to promote her award-winning series, The Mystery of History. Using a two-fold approach, she not only shares the “how-to’s” of her program with a “week at a glance”, but she inspires her audience to appreciate history with a passionate overview of world events and a look at the Divine thread that pulls it all together. Keynote Sessions – Available upon request based on the specific needs and size of the convention. Current titles available upon request. I just wanted to say that I had the opportunity to meet Linda and hear her speak at the INDY conference and she was absolutely delightful! If you get the chance to see her, please do. IMHO – it was the best session of the weekend! She exudes joy and enthusiasm and truly makes History come alive. Thanks Linda, we are loving MOH.